When Heather and Mr. K's Grandmadre visited a few weekends ago, we stopped in at Bed, Bath & Beyond and scored a bunch of gifts to bring home to my precious pups. 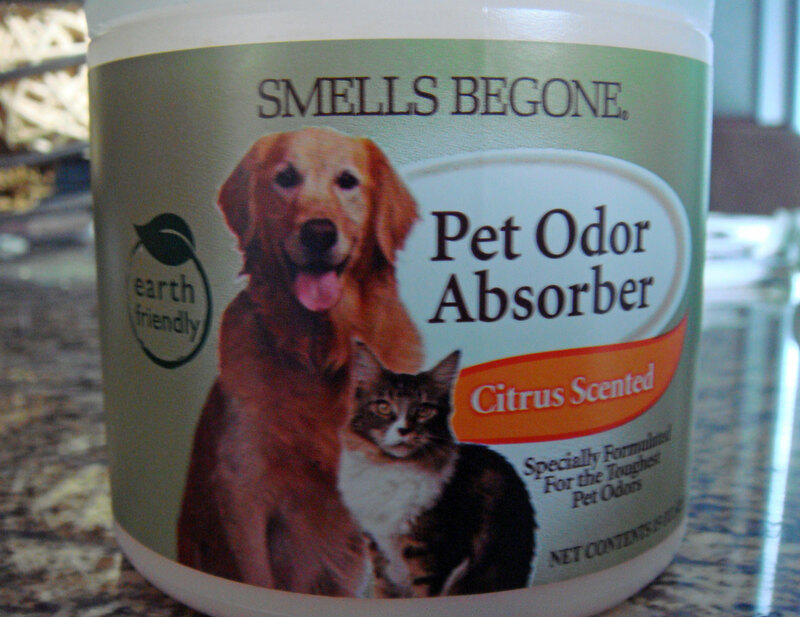 One gift, I purchased specifically for Scottie Dad - a pet odor absorber called Smells Begone, in the hopes it would get rid of whatever phantom doggie smell he always complains of. Let me start by explaining fairly that it is nearly impossible for me to smell the things Scottie Dad does since I haven't really had a working sense of smell since the age of six. Seriously. Doctors tell me the sense was likely killed off years ago due to allergies and later on, nasal polyps. This is both a blessing and a curse - there aren't a lot of smells I get to experience, no matter if it is a yummy aroma when cooking or an awful stench when Heather or Mr. K has an accident. Eight to nine times out of 10, I won't smell it. That being said, I refuse to believe that with our cleaning habits and dog bathing schedule, the doggie smell is always that bad. I'm never afraid to poll my close friends and family when they visit. They know I possess an inability to smell the roses and they know I wouldn't like my place smelling like dog, so I trust they're honest. Scottie Dad admits he is particularly sensitive when it comes to smells of any kind plus, the fact he has never been a big dog person doesn't really help things, either. This is why I've learned to take the complaints with a grain of salt - I'm half convinced Scottie Dad experiences a phantom doggie smell sometimes as a result of his subconscious knowing he lives with dogs now and therefore, things should be smelly. Alas, this doesn't mean I don't aim to please. I bathe the dogs more frequently now that Scottie Dad is a part of our lives. I also wash the couch cushions and any other surface the dogs may sit on about once a month. Before Scottie Dad came, I can think of one or two instances that I washed the couch cushions in the course of a year or more. Luckily, this Rooms To Go set has held up beautifully and can withstand the frequent washing without fading or thinning out (yet). And so, when I came across Smells Begone I figured, what could it hurt? It was cheap enough (approx. $15 for a two-pack) so on the very good chance it didn't work, it wasn't like I was breaking budget here. The product had great reviews online, too - so I felt pretty optimistic about this one. Unfortunately, it has been weeks since we put the Smells Begone out and when Scottie Grandmadre called to see if we liked it and whether she should get one (she has one dog, three cats), Scottie Dad said this product hasn't made a difference. While certainly a disappointment, I can't say I'm surprised. There are a lot of products out there on the market catering to us animal lovers that turn out to be less than par. In the meantime, I'll stick to freshening up the apartment by dusting the baseboards of the floor with a dryer sheet (a trick stolen from Scottie Grandmadre) and washing the couch cushions every month. 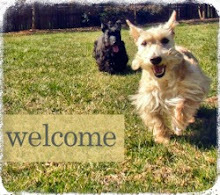 And, if any of my new doggie momma (and papa) friends have tips they use to keep the house fresh, feel free to share! Are we married to the same man? 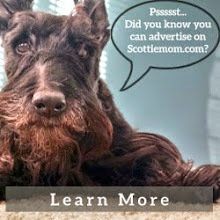 My husband always complains that our Scottie smells too, even with a bath every week because of allergies. It is the only reason we have one instead of two! It's gas from nerves that smell! My girls always traveled with the family & were very gassy! Try fabreeze - if you do it fairly often it can. Having had 8 scotties over the years I have found some smell more than others. It seems if they have coarse hair they smell less in my experience. I currently have one of each type.